Black coffee ice cream. 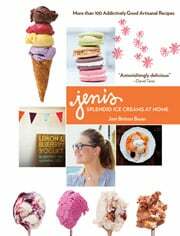 This easy homemade ice cream from Jeni’s Splendid Ice Creams is gonna rock your summer. 1. Mix about 2 tablespoons of the milk with the cornstarch to make a smooth slurry. Forget about it for a little while. 2. Whisk the cream cheese and salt in a bowl until smooth. Forget about it, too. 3. Combine the remaining milk, the cream, sugar, and corn syrup in a 4-quart or larger saucepan and bring to a rolling boil over medium-high heat. Boil for 4 minutes. Remove from the heat, add the coffee, and let steep for 5 minutes. 4. Strain the coffee mixture through a sieve lined with a layer of cheesecloth, squeezing the coffee grounds in the cheesecloth to extract as much liquid from them as possible. Discard the grounds and return the coffee mixture to the saucepan and place over medium-high heat. Gradually whisk in the reserved slurry as you bring it to a boil. Cook, stirring with a rubber spatula, until slightly thickened, about 1 minute. Remove from the heat. 5. Gradually whisk the hot milk mixture into the reserved cream cheese mixture until smooth. Let cool slightly, then pour the mixture into a 1-gallon resealable plastic freezer bag. Fill a large bowl with ice and water and submerge the sealed bag in the ice bath. Let stand, adding more ice to the bowl as necessary, until the ice cream base mixture is uniformly cold, about 30 minutes. 6. Pour the ice cream base into the frozen canister of your ice cream maker and spin until thick and creamy. Pack the ice cream into a container, press a sheet of parchment directly against the surface of the ice cream, and seal with an airtight lid. Tuck it in the coldest part of your freezer until firm, at least 4 hours, before serving. 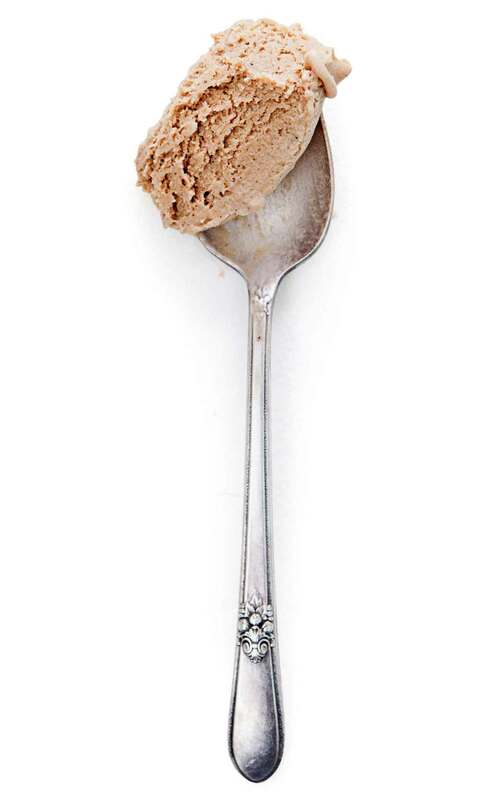 Black Coffee Ice Cream Recipe © 2011 Jeni Britton Bauer. Photo © 2011 Stacy Newgent. All rights reserved. All recipes and photos used with permission of the publisher.